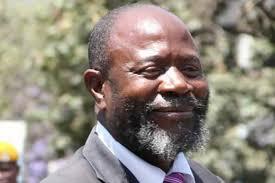 Zanu PF MP for Buhera South Joseph Chinotimba has reprimanded MDC legislator for Kuwadzana East Nelson Chamisa, saying as a pastor he must not be globetrotting bad-mouthing the country. Chinotimba told legislators that Chamisa must clarify to the National Assembly the purpose of his visit to Washington where he addressed the US Foreign Relations Committee. “I saw one of my pastors who went to America, who is also a Member of Parliament. He was seeking audience to say soldiers should be removed — he said a lot of things... Instead of inviting investors to come to Zimbabwe and invest, so I wanted to say to him, as a pastor, should he move around speaking about the removal of soldiers from one place or the other. “When he stood up he did not even acknowledge that his mission to America was successful...we want to know why he visited America, to just hallucinate there. Surely if Members of Parliament continue to hallucinate, the economy will not stabilise,” Chinotimba said. This comes as an MDC Alliance delegation which included, Chamisa and Tendai Biti delivered a moving testimony before the Senate Foreign Relations Subcommittee on Africa and Global Health policy in Washington DC last week Tuesday.